This section contains opinion pieces and other comments sent in by CASAC associates and interested members of the public. To access the various contributions, click on the links below. 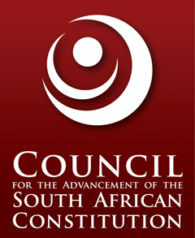 Justice Portfolio Committee should open up SAHRC selection process. Dr Khulekani Moyo, Senior Researcher, Mandela Institute, Wits Law School, University of the Witwatersrand. 27 September 2016. Disclaimer: The views expressed in these contributions are those of the authors, and do not reflect the views of CASAC.